Homelessness is a major problem that universally plagues society. With a lack of access to even the most basic things needed to survive—often through tragic circumstances—these people are commonly left to beg for money so they can eat. No matter how hard we try, it can feel impossible to help everyone in need. Yet, every now and then, an opportunity presents itself. At least, that’s how it worked out for Cesia Abigail, the owner of Abi’s Cafe in Minneapolis, Minnesota. 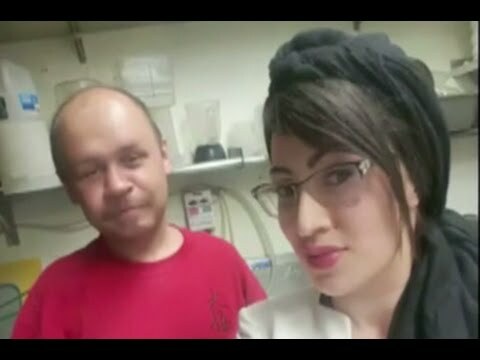 After temporarily hiring a homeless man to work in the kitchen, Cesia found this in the kitchen two weeks later—and, needless to say, she was shocked! Like in most cities around the United States and rest of the world, Minneapolis, Minnesota, is experiencing a homelessness epidemic. These people are forced to live on the streets and beg for even the most basic things they need to survive, like food and water. For people like 25-year-old Cesia Abigail, owner of Abi’s Cafe in Minneapolis, it’s not uncommon to be approached by homeless men and women and asked to lend some cash. Even though she may want to help, she didn’t always have the funds to assist everyone in that way. She was just a small business owner, after all. Concerned for the homeless man’s well-being, Cesia inquired about his past. “Why don’t you have a job?” she curiously asked the man, whose name she soon learned was Marcus. “You know nothing is given to me for free right?” she further asserted. To that, Marcus responded that what he wanted most was a job. Despite this desire to work, it was incredibly difficult to find anyone who would even consider him as a potential job candidate, let alone hire him to work at their establishment. That was because Marcus didn’t have a permanent address—and he had a criminal record. Touched by Marcus’s earnest desire to work, Cesia decided to make him an offer. Even though she had to overcome her own struggles to keep her business afloat, she was actually in need of help in her kitchen that day. Marcus knew that he wasn’t being hired full-time, as Cesia’s company was already struggling to survive. So, he worked in her cafe for just a couple of short hours that day. Yet, he was able to make enough money to buy something to eat. When Marcus left the restaurant, Cesia never expected to see or hear from him again—though she couldn’t stop thinking about him. She was thankful for the good work he’d done in her kitchen that day, and she even appreciated how efficiently he washed the dishes! It just goes to show that you can help someone in need in many different ways. Thankfully, Marcus is in a much better place now.